Explanation: Why are bullets of gas shooting out of the Orion Nebula? Nobody is yet sure. First discovered in 1983, each bullet is actually about the size of our Solar System, and moving at about 400 km/sec from a central source dubbed IRc2. The age of the bullets, which can be found from their speed and distance from IRc2, is very young -- typically less than 1,000 years. 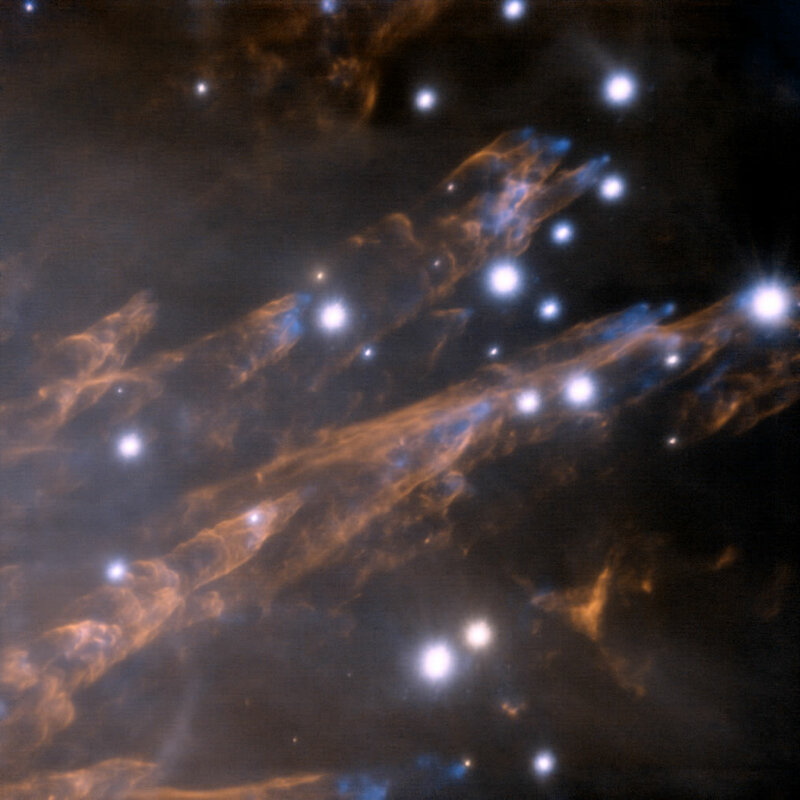 As the bullets rip through the interior of the Orion Nebula, a small percentage of iron gas causes the tip of each bullet to glow blue, while each bullet leaves a tubular pillar that glows by the light of heated hydrogen gas. 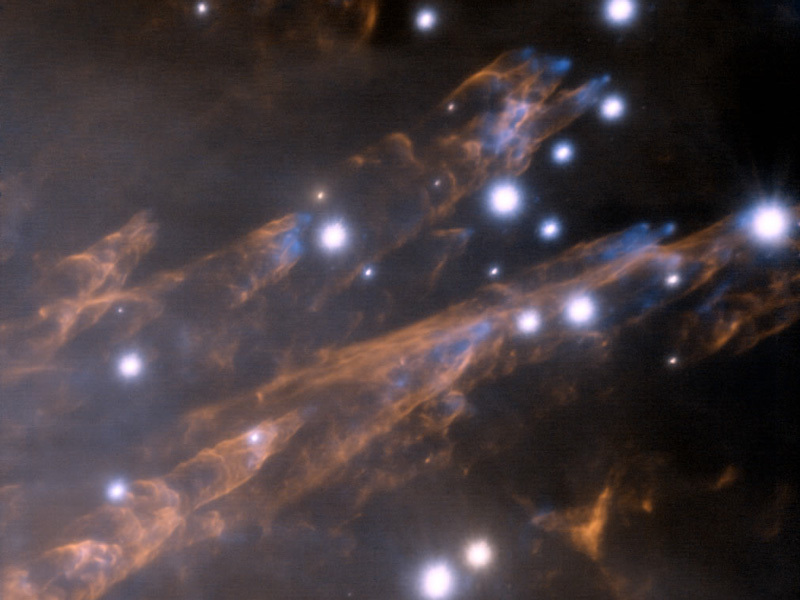 Pictured above, the Orion bullets were captured in unprecedented detail by the adaptive optics technology of the Gemini North telescope. M42, the Orion Nebula, is the closest major star forming region to us and filled with changing dust, gas, and bright stars. The Orion Nebula, is located about 1,500 light years away and can be seen with the unaided eye toward the constellation of Orion.